Few people are aware that Lavendon had its own airfield in times past. It was established by the then Royal Flying Corps (RFC) in October 1916 during the Great War. 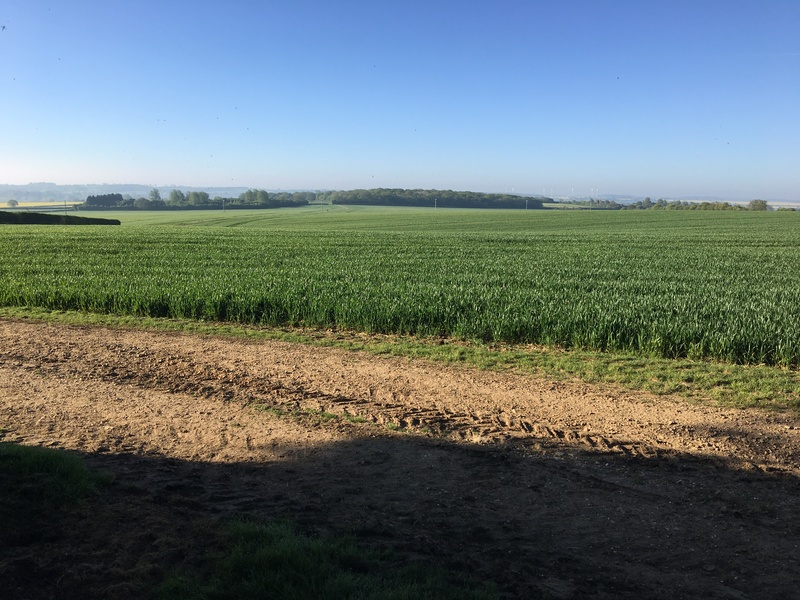 The Lavendon Airfield (also known as the Aerodrome Field) was sited adjacent to the Harrold Road in the long field that runs downhill from Lavendon Wood towards Snip Wood on the opposite side of the road. According to a ‘Flight Magazine’ article of November 1927, the airfield was prepared by the RFC, later the RAF, for use during the war for night landings and home defence, but it is said that it was never used in earnest. After the War, the airfield was adopted by a handful of wealthy private air enthusiasts. In 1927 there were only around 57 private aircraft owners, or ‘gentlemen’ enthusiasts, and relatively few airfields around the country freely available for them to use. One such enthusiast was Geoffrey Linnell who lived close by at Wilby near to Wellingborough. 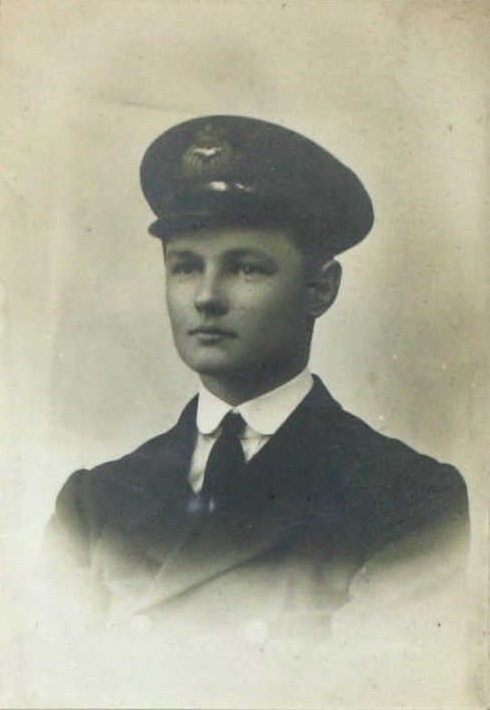 Linnell was a former Flight Lieutenant in the Naval Wing of the Royal Flying Corps, certificated for flying in April 1917. Linnell flew an open red de Havilland Gypsy Moth aircraft registered as G-EBSA on 21st July 1927 which he based at Lavendon. Linnell was a company director and he enthusiastically endorsed the use of the Lavendon Airfield to his flying colleagues. The latter might well have included Thomas Higgins of nearby Turvey House who was also a pilot and a former officer in the Kings Own Regiment. Despite his enthusiasm for Lavendon, Linnell was keen to establish a local flying club closer to home and in the event he and his colleagues founded the ‘Northamptonshire Aero Club’. They located a suitable alternative site at Sywell which was cleared and made ready. Geoffrey Linnell became one of the first Chairmen of the Club’s Flying Committee. Had the alternative site of Sywell not been found then it was on the cards that the Lavendon Airfield would have been developed by the Club instead, but with the increasing use of Sywell it was inevitable that the Lavendon airfield quickly became neglected and unused from the late 1920s onwards. All this was aside from frequent international flying: on one occasion the return from such an adventure resulted in a forward-flip crash landing on the soft gravel of Brighton beach, before Geoffrey Linnell got out and rushed off to play in a nearby football match. More historical information about the Linnell Brothers exploits can be found on the Sywell Aerodrome web site HERE. 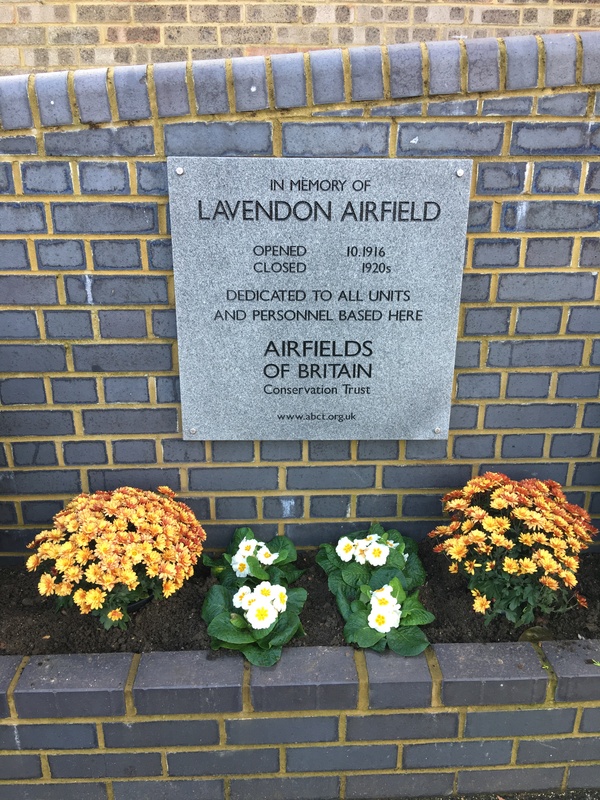 Fittingly, the existence of the Lavendon Airfield has been acknowledged by the present-day charity known as the Airfields of Britain Conservation Trust. To that end the charity has very generously donated a Cornish granite memorial which has been installed on the frontage of Lavendon Village Hall as a central reminder of the village’s past and where everyone has a good opportunity to see it. Equally fittingly, the memorial was unveiled by the Chairman of the Lavendon Branch of the Royal British Legion, Mr Roddy Moore, on the 100th Anniversary of the Armistice, 11th November 2018, witnessed by many local residents, following the Remembrance Day Services at St Michael’s Church and at the Lavendon War Memorial.